Not into OTT Chinese New Year reunion meals? 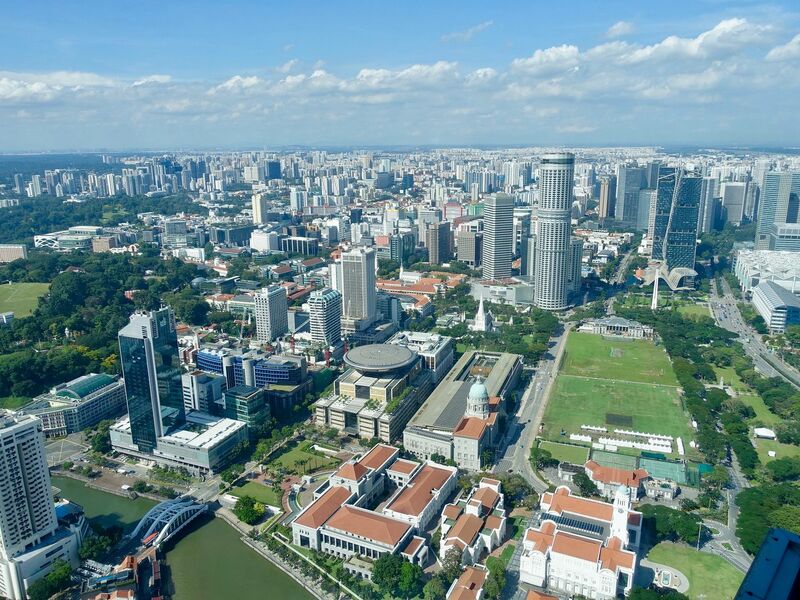 Then head to Si Chuan Dou Hua Restaurant for their Reunion Imperial High Tea (新春团圆宫廷下午茶) instead! I've always been a fan of their high tea because they're portioned just perfectly for a lady (though guys may complain of the portion). 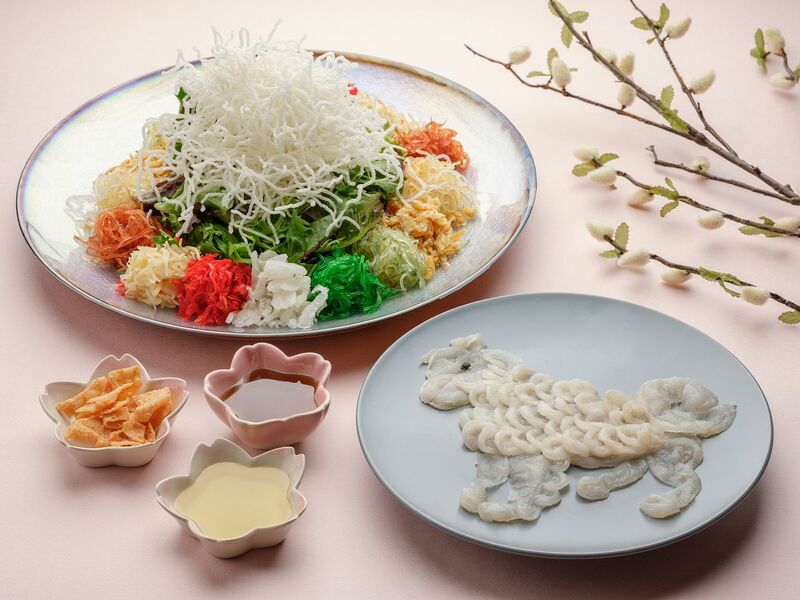 The 9-course dim sum and tea pairing set menu comprises yusheng customised for the party size (even for one), handcrafted dim sum, as well as Chinese New Year desserts. 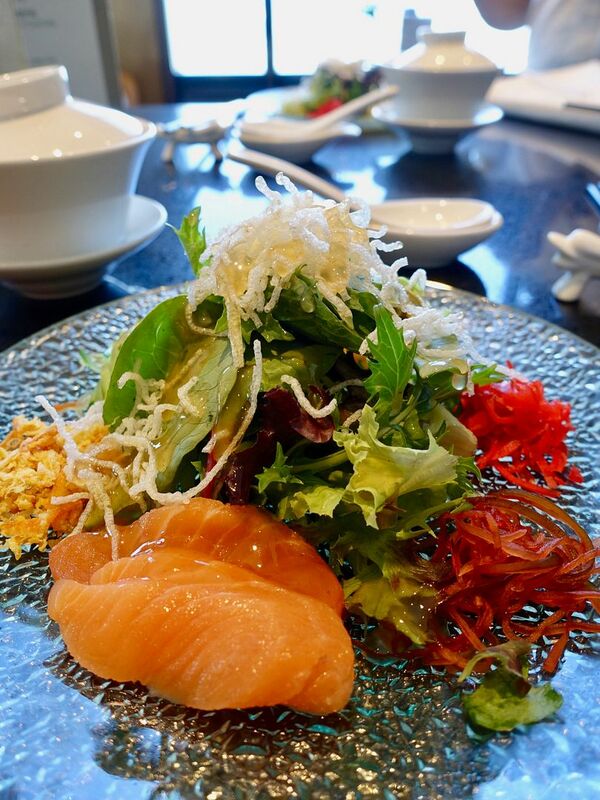 We started with the Prosperity Salmon Yusheng, which takes on a western style with salad vegetables but the orange dressing with candied orange peel gives the dish a Chinese spin. Long Jing is served for the dimsum course. But over at the TOP of UOB Plaza, as they have a spanking new cocktail bar Chuān @ The Sixtieth, they have added on a cocktail to their dimsum-tea menu. For the reunion menu, Jubilant Gathering (欢菊一堂) is served. 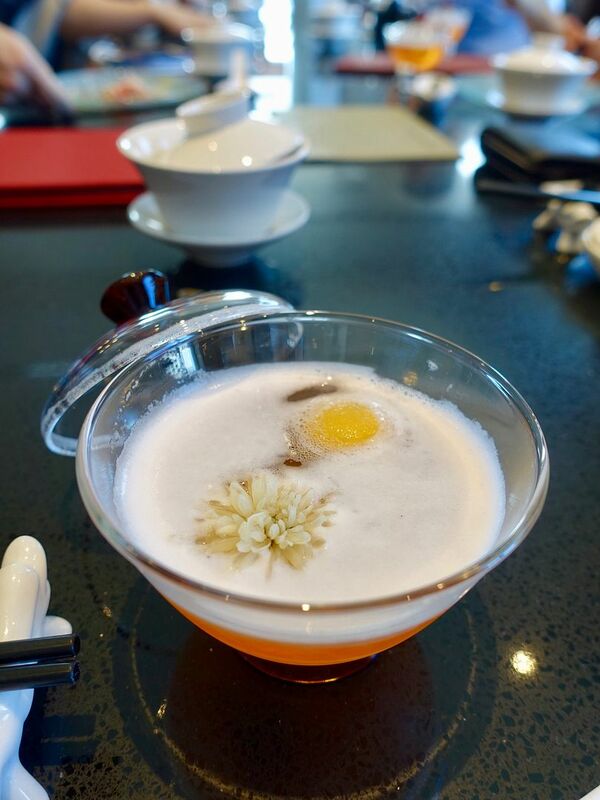 It is a specially concocted craft cocktail made of vodka and chrysanthemum tea, and a lemon ice ball that melts into the drink slowly. We loved the fragrance of the tea in this delicate cocktail! Handmade dimsum is served next. Every item is hand made and they are so delicate! 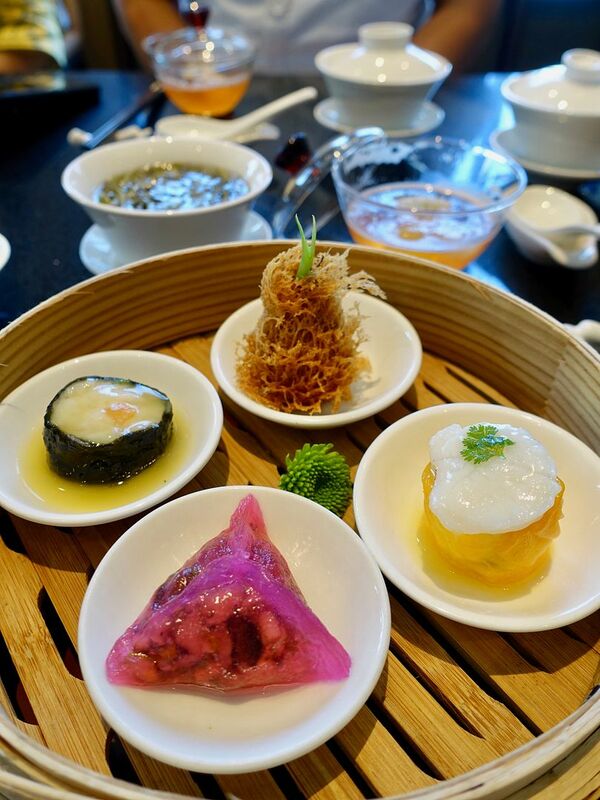 We hear that the items on the high tea menu are specially created but sometimes they'd include 1 or 2 items from the regular dimsum menu inside. We particularly enjoyed the steamed juicy seafood wrapped in seaweed (pictured left). The broth from the seafood was so delicious we literally drank it all. The pink mushroom dumpling had filling that is encased in this amazing thin mochi skin. Oh, special mention goes to the crispy yam puff in curry paste, which was super crispy (and not oily at all). 大红袍 tea is served to accompany the heavier "main dish". I wished we had more of the glutinous rice with diced chicken wrapped in lotus leaf. It's a symphony of fragrance and flavors. Loved the soft sticky rice with braised chicken and mushrooms. 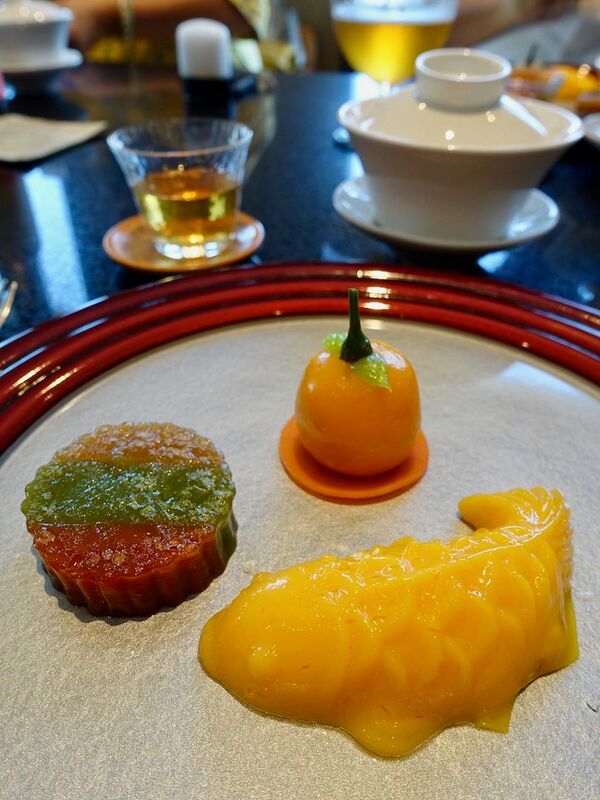 A trio of desserts was served last. From left and clockwise, we had the 3-in-1 Pan-fried New Year Cake (Gula Melaka, pandan and regular flavor). I liked that it's soft and not too sweet! Golden fish shape mango pudding also had a lovely texture (firm but not jelly-like), and flavored by fresh mangoes. 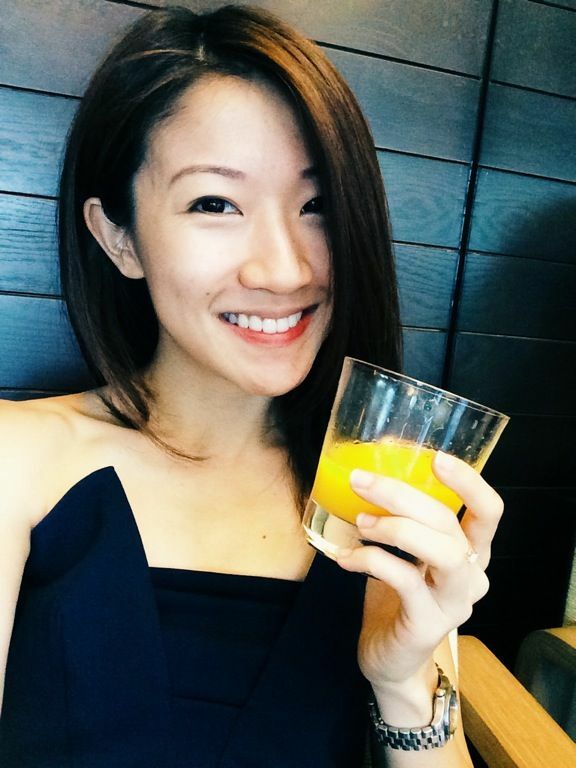 Even if you were not gonna have afternoon tea, i'd recommend heading to Chuān @ The Sixtieth, Si Chuan Dou Hua Restaurant new cocktail bar, is worth a visit for the great view and even better drinks. Veteran bartender Mr Anthony Zhong employs the use of novel ingredients that are characteristic of Si Chuan Dou Hua Restaurant, such as wolfberries, Chinese teas, Sichuan peppercorn and bean curd in his creations. 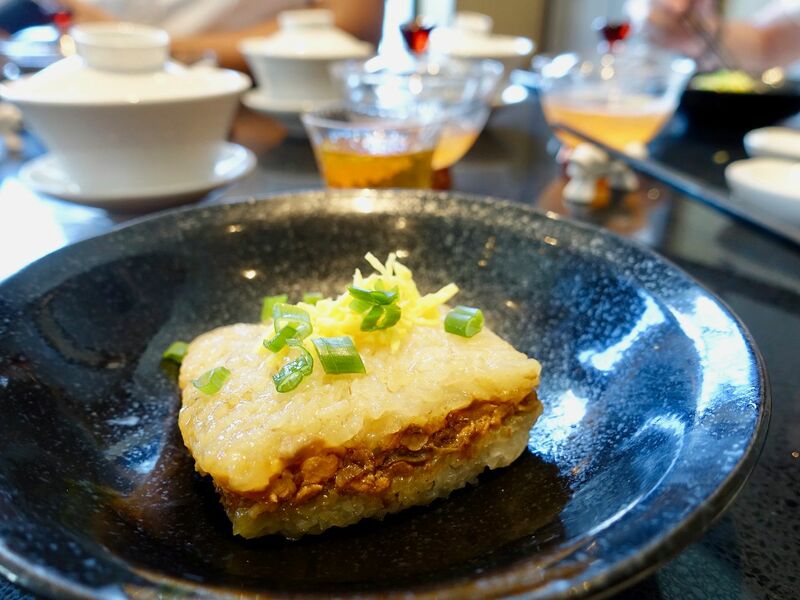 Sichuan and Cantonese classics, such as Chong Qing Diced Chicken with Dried Chilli and Stir-fried Diced Beef with Sliced Garlic will accompany your tipples. 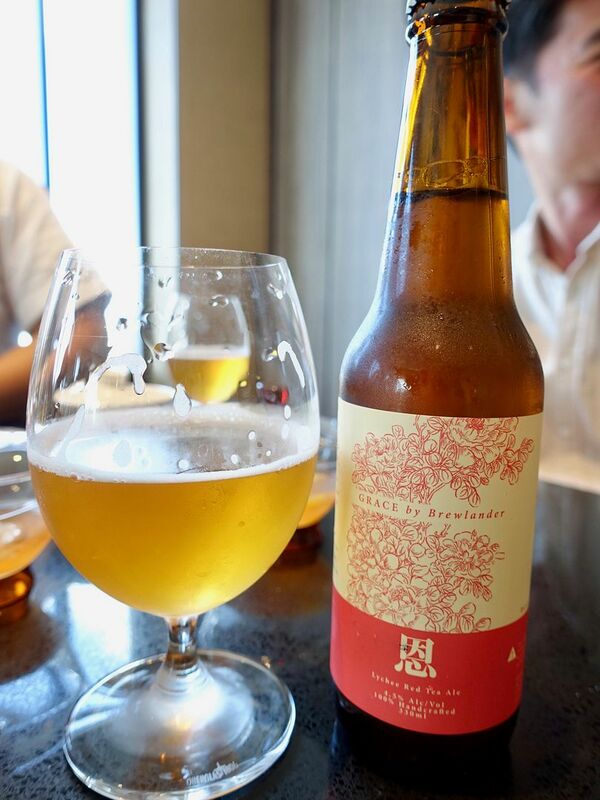 We also recommend the special lychee red tea ale, Grace by Brewlander ($12 hh/$16), made exclusively for Si Chuan Dou Hua. The Kolsch-style ale is like a lager or Pilsner, and has a lovely lychee tea flavor without the tannins. Back to Chinese New Year dining, Si Chuan Dou Hua also had Lunar New Year set menus are available from $888, from now till 2 March 2018. 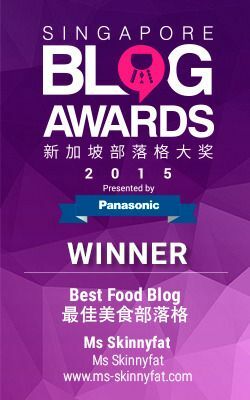 What's special is that they are the first and only Chinese restaurant in Singapore to serve pufferfish sashimi with their yusheng! How's that for an exciting CNY? Of course they also do have other types of fish/seafood to go with the yusheng. The Imperial Reunion High Tea at Si Chuan Dou Hua is priced at $48/pax at Top of UOB Plaza and $38/pax at all other outlets.